XKSS - genuine or replica? We saw this car at the https://www.jaguarforums.com/forum/e...89/#post575802 and as far as I can tell it's a replica. I can tell you that the body was completely aluminimum, no fiberglass that we could see. This image has been resized. Click this bar to view the full image. The original image is sized 600x800 and weights 144KB. It could be a Lynx replica. They do some pretty high quality replicas. Not cheap though. I think the XKSS models go for around $300K or so. I could be way off, but I didn't think that the XKSS road cars had the half mast racing screen. Due to the hood clipping into the top rail. Whatever, this looks to be a SUPERB car, and anyone would be CHUFFED to own it, even more CHUFFED if they signed up for the forum and enjoyed all the accolades that would happen. That car is a brand new recreation, something about the sump. Richard's correct on the screen, it looked kind of incongruous on a proper one. Talk of the windscreen made me look at the pics closer, there are two different cars in these pictures. 1st one (XKSS) under the tarp has the proper bigger screen, and the correct wheels for the model, also check out the exhausts on the side. 2nd one (C-Type) with the bonnet open, small screen, wire-wheels, open pipes. Agree that it looks brand new. A replica. And looks fantastic! The XKSS under the tarp looks "old" and definitely more like an original. Based on the Coventry Racers website, it's still a replica but more true to the original cars. Also looks a million bucks. Last edited by Cambo; 10-19-2012 at 02:56 AM. Reason: Isn't it obvious? I suspect both the XKSS and the C-Types are Lynx replicas. As I noted earlier, Lynx does some top-notch replicas although somewhat pricey. They capture the essence of the originals but they do bespoke work to cater to customers' wishes. The XKSS for example, is available as a RHD or LHD car. In addition, Lynx also produces a D-Type and E-Type Low Drag model. Someone has a good eye for detail. The registration number OKS 400 is a Roxburghshire (Scottish Borders) number in the same series as the original Ecurie Ecosse cars. Last edited by GGG; 10-19-2012 at 01:25 PM. I don't think the original XKSSs had the engine sitting bolt straight up. They were cocked a few degrees due to dry sump configuration. Oh dear oh dear! I know who owns the XKSS and it is certainly a replica, probably a LR RAM in fibreglass. It wears UK plates because it probably can't be registered in Switzerland. 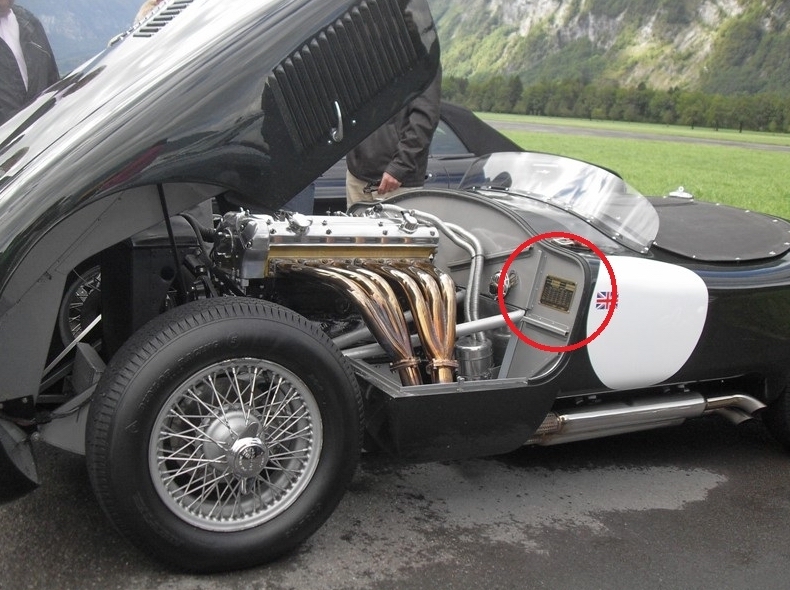 The C-type is a Proteus; the square chassis tubing gives it away. Quick Reply: XKSS - genuine or replica?